Okygen Maca – This super food increases your energy levels and improves your sexual performance. Peruvian Maca (Lepidium meyenii) is a plant originally from Peru, known for its beneficial effects in terms of increasing mental and physical energy levels, and for improving sexual performance. In women, it reduces menstrual cramps and menopause symptoms. Being highly nutritious, maca is considered a super food. It has an extremely nutrient-dense profile, composed of numerous minerals, vitamins and amino acids. 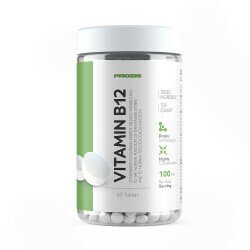 Some of its most noticeable nutrients include its vitamin B complex, its calcium and its magnesium, all of which are precious nutrients in the energy production and muscle contraction processes. 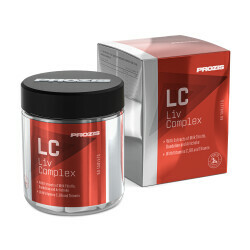 Scientific studies have shown this plant's extract can increase libido, improve the quality of the sperm and treat erectile dysfunction. 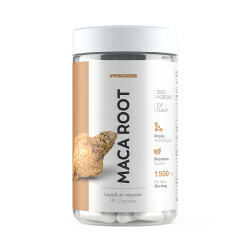 Maca has the ability to regulate the production of important hormones in maintaining our mood and sexual functions. 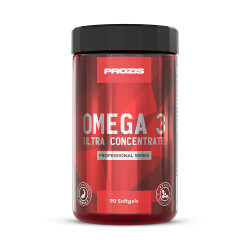 It is a supplement widely used to increase testosterone levels. 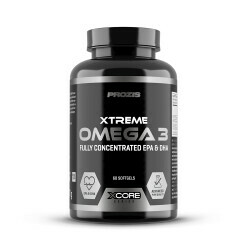 Maca, by Okygen, is the most efficient Lepidium meyenii based supplement currently available in the market. Maca Root Extract, Gelatin, Thickener (Microcrystalline Cellulose), Maltodextrin, Anti-caking Agents (Magnesium Salts of Fatty Acids, Silicon Dioxide), Colour (Titanium Dioxide) . Recommended Daily Dose Take 1 capsule, 1 to 2 times daily.